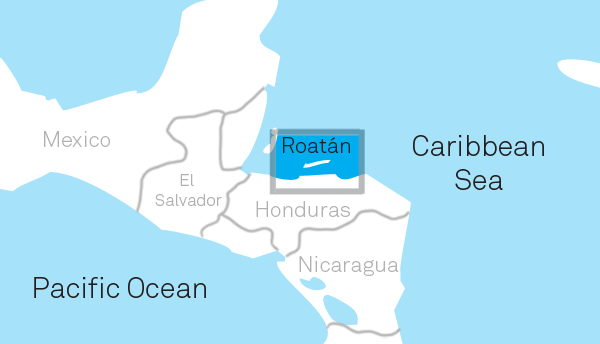 Roatán is the largest of the Bay Islands of Honduras, one of the poorest nations in the Western Hemisphere. The Bay Islands, consisting of dozens of cays as well as Roatán, Guanaja and Útila, are approximately 40 miles off the coast of Honduras in the Caribbean Sea. The islands sit in the along the Mesoamerican Barrier Reef System, the world’s second largest barrier reef system. Roatán’s economy depends heavily on fishing and tourism. Each year, hundreds of thousands of tourists visit the Bay Islands on cruise ships and for the opportunity to dive along the reef. Despite the relative strength of the economy, much of the population cannot afford electricity, bottled water and other quotidian necessities. Crime has increased in recent years, although not as dramatically as mainland Honduras. 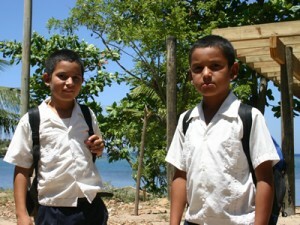 Between all three islands, there are over 70,000 inhabitants, including 50,000 in Roatán. The islands have immense cultural diversity; people of Hispanic, European, Garifuna, and indigenous descent inhabit the island. Depending on where you are in the Bay Islands, one can hear Spanish, English and Garifuna. 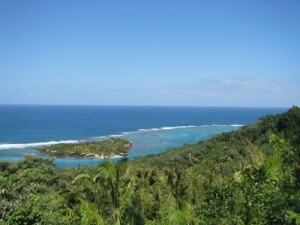 In recent years, immigration from the United States, Canada, and mainland Honduras has increased tremendously due to the growing tourist industry on the island. This has created pockets of affluent tourist activity throughout the Bay Islands where English is the common language and US Dollars are readily accepted. The only public hospital in the Bay Islands is located in Coxen Hole, Roatán. As the nation’s smallest medical district, the Bay Islands receive the smallest allotment of the government’s health care funding, even though an incredibly diverse patient population and 30-mile geographical separation from specialty centers on the mainland magnify its health problems. In addition to the public hospital, there are several public and private health clinics that provide basic primary care to adults and children. Whenever patients need to be admitted to a hospital, the only option is Public Hospital Roatán. The trip can be very expensive for families who have to travel from the other side of the island, so patients usually wait until their conditions are far along. Due to funding issues, the hospital struggles to maintain sufficient inventories of essential medicines for patients. There are limited radiology services, including X-ray and ultrasound, and only a basic set of laboratory tests available to physicians.